On Wednesday, some royal exciting news was announced: Prince William and Kate Middleton will attend the Spectre premiere at the Royal Albert Hall on Oct. 26. Be sure to mark that exciting news on your calendar if you like ridiculously glamorous photos of royal couples. If you weren't already pumped for the latest James Bond movie starring Daniel Craig and Stephanie Sigman, I'm sure you are now. You know, I'm not a huge Bond fanatic, but if I could watch a James Bond movie with William and Kate, I'd totally would. Also, if they happened to star in a Bond film, then, yeah I would absolutely be the first in line. Because if you think about it, Kate Middleton and Prince William would actually make great spies. I know, I know. You're probably thinking, "These royal celebrities are just too nice to be spies." Hey, who said spies had to be mean and villainous? Hello, James Bond isn't a villain. Plus, I always thought Sydney Bristow was a really nice spy, you know, when she wasn't being a badass. Also, you might think the Duke and Duchess of Cambridge are way too busy to even think about living the spy life, which, granted, they probably are. I mean, between traveling the world, their philanthropic efforts, helping run a country, and being parents to two children, they might not have the time to be spies. However, this is all for pretend, so don't be a downer and just go on this imaginative William and Kate spy journey with me. With that said, here's why they'd make amazing and the suavest of spies. Before you say it, no, William and Kate would never be assassins like John and Jane Smith. But it's that marital bond that I'm talking about here. When you have spouses acting as spies together and joining forces that just means the spy work would be tighter, stronger, and cleaner. 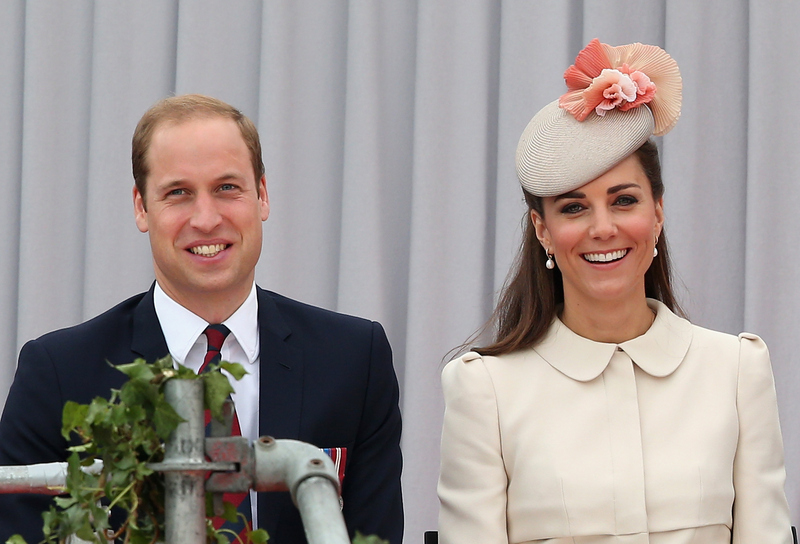 William and Kate are a united couple, so as a spy team, their work would be stellar. You can't be a spy without fancy cars, expensive toys, and owning the best and most up to date piece of technology. William and Kate could get all of that in the matter of minutes. Plus, if they needed to attend some lavish event like most spies do for a mission, they could just make a phone call and automatically receive an invite. All spies are fashionable. Kate and William always look on point, no matter where they are. They'd be the suavest of spies, hands down. If they ever needed to spy on someone important or get information about a target, it'd be so easy for William and Kate. They know anyone and everyone. Plus, who wouldn't want to meet these royals? They would hardly have to do any work and let everyone else do it for them. Who would ever believe the sweet and loving Duke and Duchess of Cambridge are spies? It's the perfect front. Royals by day and spies by night. No one would ever suspect Prince William and Princess Kate as spies, which means they'd never get caught and would win the highest honors of spies — if there is such a thing. So, when are William and Kate starring in a James Bond movie? Not only are they qualified, but they'd help the film make money from royalty fanatics like myself.